A good product idea and execution aren’t enough in today’s world. To succeed, you’ll need to answer critical business questions through research, design, prototyping, and testing – all this with a user-centered approach in mind. 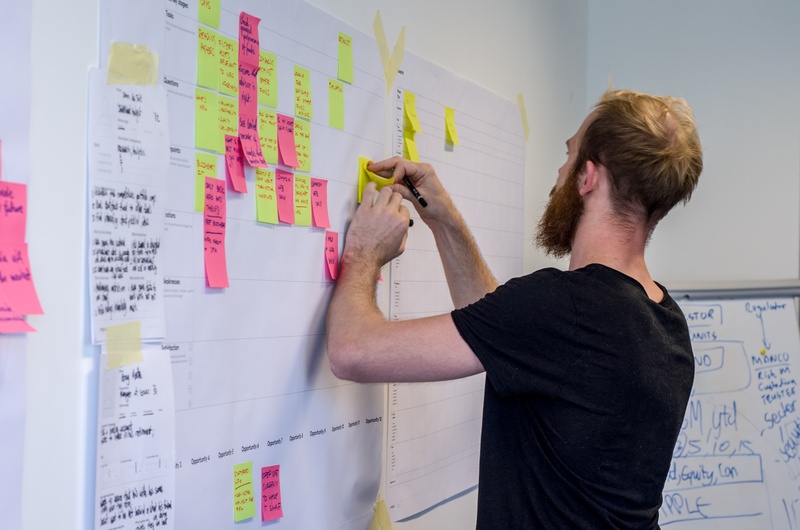 That’s why we introduced Product Design Sprints, a series of workshops based on Google Ventures’ design sprints. They have been popularized thanks to Jake Knapp’s bestselling book “Sprint”, in which you can read more about the methodology, its practical applications, and real-life examples from the business world. A Product Design Sprint is a five-step (ideally 5-day) workshop that helps brands launch better digital products. Through quick idea validation, fast prototyping, and testing, you can minimise the risk of a failure. have a product and want to invest in new, more complex features. Each and every case is different, and so we always analyse it separately based on research prepared before the workshop. It’s crucial that we have a lot of data and materials to study before the actual workshop so we can understand the problem better. We prepare our workshops individually for each project and adjust the exercises so that our ‘sprint’ can give as much value as possible to our clients. Sometimes, it means putting more emphasis on the product's Value Proposition, because the client wants so many features that we think they lost focus on the core purpose of the product. In other cases, we focus on specific features or analyse current user journeys to spot any pain points and work together on finding solutions. The first day is all about getting insights about the users’ needs, business needs, and technology capacities. Discussion during this stage is essential to create a roadmap for the sprint week. At the very beginning, we set up long-term goals, obstacles, and challenges. We run some exercises to paint a bigger picture of the problem. At the end of the day, you pick the main goal you want to achieve during the sprint. On the second day, we focus on generating and exploring as many ideas as possible. We’ll first review existing solutions, including their strong and weak points. The participants will also perform exercises to build new insights and solutions. Through brainstorming sessions and individual analyses, each team member will propose their ideas that will later be studied and tested. At this stage, we’ll have plenty of ideas which the team came up with during the previous two steps. The team’s goal now is to identify the best ideas and decide which of them should be prototyped in the next step. We’ll critique each solution in relation to the main goal. Based on the selected ideas, we’ll sketch a step-by-step roadmap for building a prototype. On the fourth day, it’s time to put all that the team developed into practice. You will turn your storyboard into a prototype – a realistic artifact you will then test with a customer. The main assumption here is that you will only build the customer-facing surface of your product or service. In this way, the prototype will be up and running in just one day – ready for review in the final stage. GV calls this phase the “moment of truth”. This is when you test the ideas with users, business stakeholders, and technical experts and hear direct feedback from them. This stage will validate your solutions before you start spending your money on designing and developing an actual product. At the end of the fifth day, you’ll have a clear idea of what you should do next. Usually in such sprints we provide you with a Project Manager and a Product Designer who heads the workshop and acts as a mentor. We also ask our developers to attend if we feel like we need a reality check on our ideas. Depending on the purpose of the Product Design Sprint and the initial problem to be solved, you will get tailored solutions and recommendations that will help you generate a unique Value Proposition for existing or potential customers. Our clients confirm that they provide an actionable product roadmap for product development or a prevalidated prototype. But what are the main benefits of a design sprint if you want to release a new product to the market? A broad perspective on the environment can help you identify all the stakeholders that have impact on your projects and whom your product will influence. You will be able to choose the key stakeholders who will help you move the project towards success. The workshops members have to act with empathy toward the customer’s needs. 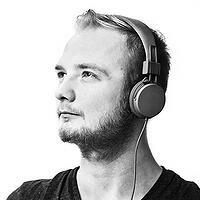 The sprint is based on is listening, trust, and building meaningful relationships with users. We run multiple exercises that will help you better understand user needs, pains, and behaviors and prioritize them. The sprint shrinks months of development and feature testing into just a few days. The faster you prototype, the faster you can validate your idea. Design sprints encourage effective communication, sharing ideas, and dispelling doubts. The approach enables getting answers to complicated problems. Idea validation is essential to succeed on the market and the best tool to achieve this it to create a prototype of your solution. 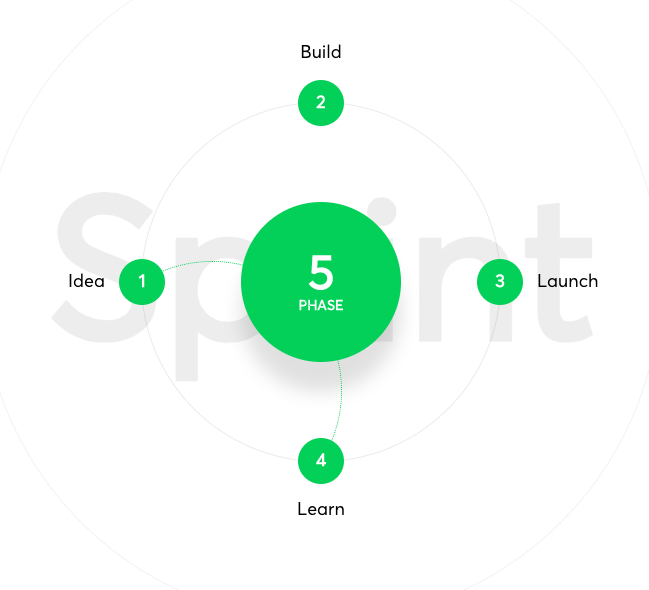 The sprint itself is meant to be short and agile and it speeds up new product discovery. Therefore, your prototype will be ready for testing on the fifth day of the workshop. At the end of the sprint, the client gets a better understanding of their users’ problems and multiple ideas on how to solve them. We prepare a detailed report on the workshop with all materials and canvases digitized. The report also contains suggestions about which way the product should go. Additionally, the clients usually get a working lo-fi prototype for some of our user stories, which they can test later. Ready to run your Product Design Sprint? Thanks to a Product Design Sprint you get answers to critical business questions fast. It is a small investment of time and money that can help you shape your digital product in a way that will make it win on the market. Don’t hesitate and sign up for a Product Design Sprint now.